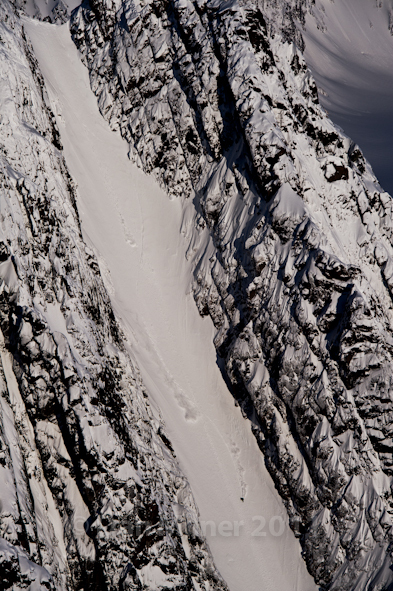 Child’s play with Jeremy Jones: Svalbard part 1 goes live. It’s too early to think much about snowboarding for me (hey, there are bikes trails still to ride), but it seems there are some (you know who you are) that are already getting all frisky at the sight of frost, and to keep these types happy, the first crop of this winter’s snowboard mags has dropped, including Transworld Snowboarding’s issue with my 10 page Svalbard Arctic circle feature in it. 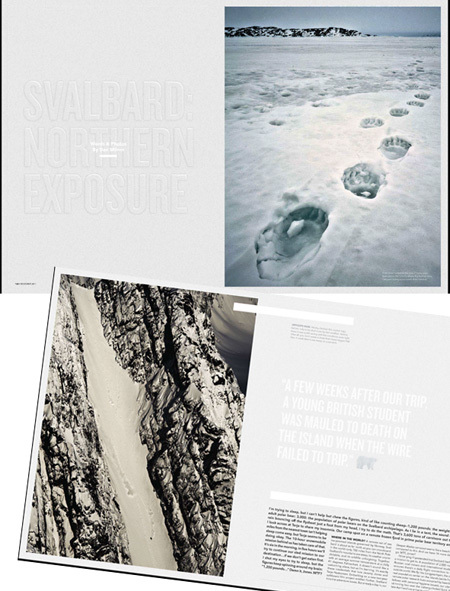 It took me 3 weeks to shoot this 10 page feature for TWS including polar bear footprints. So you'd better look and look good at the pretty pictures. Now, back in May, I accompanied Jeremy Jones, Terje Haakenson and a spool of TGR filmers to Svalbard, approximately 700 miles from the North Pole to shoot a splitboard-camping mission in one of the most heavily polar bear populated locations on the planet. Years ago, I heard about these islands and their vertiginous mountains and couloirs from a skier who told me about the “anti-bear” fences you have to erect around camp, night and day, and I thought “That’s daft, I can safely say I will never go there.” Half a dozen years later though I have a ten pager in TWS about the same location, some sleepless nights (well, days, it’s 24/7 light there during May) and some epic experiences under my belt. We called this chute 'Nat Geo', because it looked like the sort of thing that would grace a National Geographic cover. Jones turns another page. Nikon D3s, 70-200 2.8 VRII.